Fen Violet is rare in Europe and indeed the world; it is one of rarest violets native to the UK. The flowers are bluish-white in colour with a mother-of-pearl sheen and look very fragile. This species is classified as Endangered in the UK, and is fully protected under Schedule 8 of the Wildlife and Countryside Act, 1981 (as amended). It is also a UK Biodiversity Action Plan – Key Species. These little plants live in wet places like bogs, marshes or flat, swampy grassland, provided the vegetation is not too tall. The Fen Violet seeds can lie dormant in the ground for many years and they will only begin to grow when the ground has been disturbed and the weather conditions are right. Fen Violet is probably the most elusive of our violet species, and consequently has been seen by very few. Fen Violet was never widespread and is now restricted to Otmoor in Oxfordshire and two fens in East Anglia. It was recorded in Oxfordshire in the 1820s but not seen there again until 1964. This site was destroyed shortly afterwards when the land was drained and converted to arable use. However, a hybrid between Fen Violet and Heath Dog Violet, Viola canina, continued to grow in nearby fields which were not drained. This area was considered a suitable site for reintroduction but when this area was surveyed, in May 1997 as part of the then English Nature’s Species Recovery Programme, around 30 plants of true Fen Violet were found growing in ground which had been heavily disturbed by the removal of willow. Such disturbance of the ground seems to be essential for turning over the seed bank to bring new seeds to within reach of the surface, enabling new plants to grow. Habitat loss along with effects of drainage, ploughing and lack of management on many of its former sites have all had a major part to play in the dramatic decline of this species. In some years, thriving populations can be seen at its three remaining sites, but its occurrence remains sporadic and unpredictable with Otmoor being the only UK site to have reliable flowering in recent years. Visits at many times reveal a disappointing show; the plant being largely absent and surviving mainly by seed. 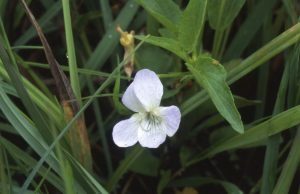 It is the resilient nature of the Fen Violet seed that has been the key to its survival and explains, for example, why the plant was able to make a dramatic show at Wicken Fen, Cambridgeshire, after an absence of many years. 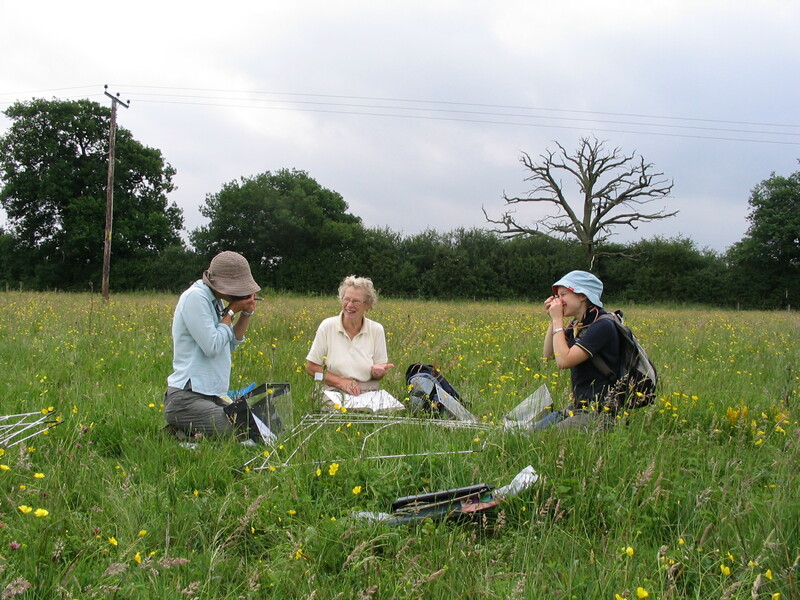 The range is owned by the MoD who co-ordinate the Otmoor Conservation Committee which has to balance the needs of a huge variety of wildlife including brown hairstreak butterflies and grasshopper warblers. The MoD warden works with the tenant farmer and the Environment Agency to maintain suitable water levels, and there is hay cutting, harrowing and cattle grazing. It is also hoped that, by removing willows along the hedgeline at intervals of perhaps 10-15 years, more seed will be brought to the surface to germinate. In this way a viable population of Fen Violet can be maintained here. 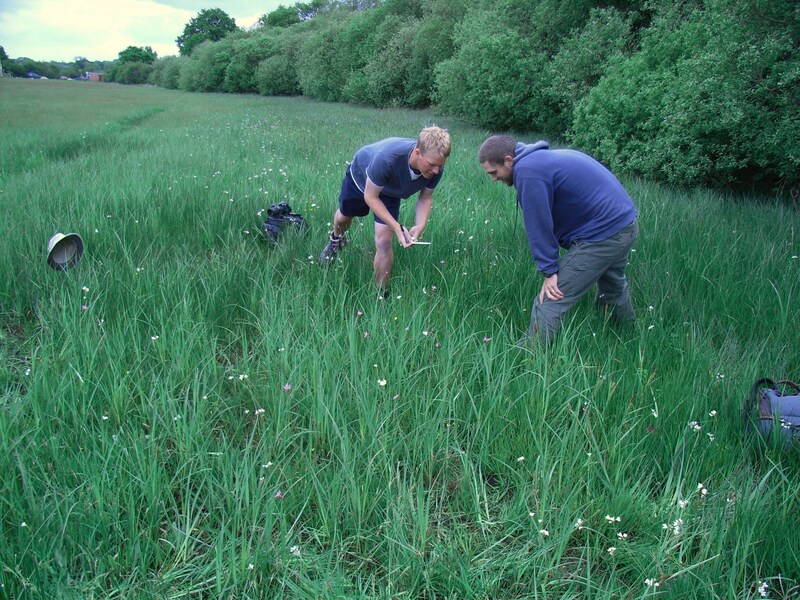 Detailed ecological work aims to unravel some of the mysteries of the Fen Violet. 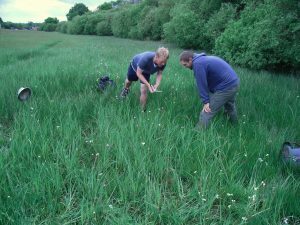 This is being done on the Otmoor range where the Rare Plants Group of the Ashmolean Natural History Society of Oxfordshire has been monitoring the population since it appeared. 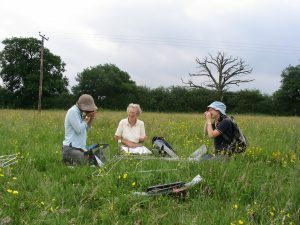 Recently the population in the hay meadow has been declining and now one group of plants is being studied in detail to identify new and recurring plants and the ratio in which they occur. One of the main questions is whether plants are produced mostly by seed or vegetatively (where roots travel along and send up a shoot several inches away). This may allow us to explain the unpredictable nature of the plant, and help us understand how best to manage it. We hope that the results will enable us to ensure that the Fen Violet becomes a lasting part of the wetland scene, both in the short and the long term. For more details see Palmer M. 2006. Fen violet Viola perscicifolia Schreber: A review of conservation work carried out under English Nature’s Species Recovery Programme: 1993-2005. English Nature Research Report 676.